Living in New England, visiting local farms to pick whatever delicious fruit is in-season is one of our favorite ways to get away from the hustle & bustle of the city. Berry picking signals the juicy peak of summer, and apple + pear picking is a fall tradition not to be missed around here. Up until recently, however (starting with this wicked fun tulip farm), I didn’t realize that pick your own flowers was even an option in this region! So when I found out zinnias and dahlias were in full bloom at this little gem of a farm, it jumped right up there to the top of our list. Parlee Farms is family-run (the owner, Ellen, was super sweet) and it’s clear how much hard work goes into the farm. There’s pick-your-own strawberries and cherries earlier in the year; flowers, peaches, and blueberries in late summer (go now and get the fresh, hot blueberry donuts, omg! ); and apple season is starting next week! Located 40 miles north of Boston in Tyngsboro, MA (near the New Hampshire border), this was a slight trek for us but well worth it. This Kimchee Blue striped dress from Urban Outfitters also comes in three other cute prints! Sizing starts in XS, but I took one up in order to layer comfortably. It looks like their stylists and I were on the same page with the simple white layering tee! The torso is a little more fitted and the bottom is a true A-line. Several reviewers complained about this dress being too short, but I found it to be a good length on someone petite. It’s only partially lined (torso is lined, skirt is not), which is too bad because many of UO’s other dresses at this price point do have a full lining. The fabric on this is like a cotton poplin material, with some stretch and a back zipper entry. I promise it’s not actually as wrinkle-prone as some of these pictures make it appear! Urban Outfitters is also knocking it out of the park lately with their sunglasses, and several just got marked down to $10! 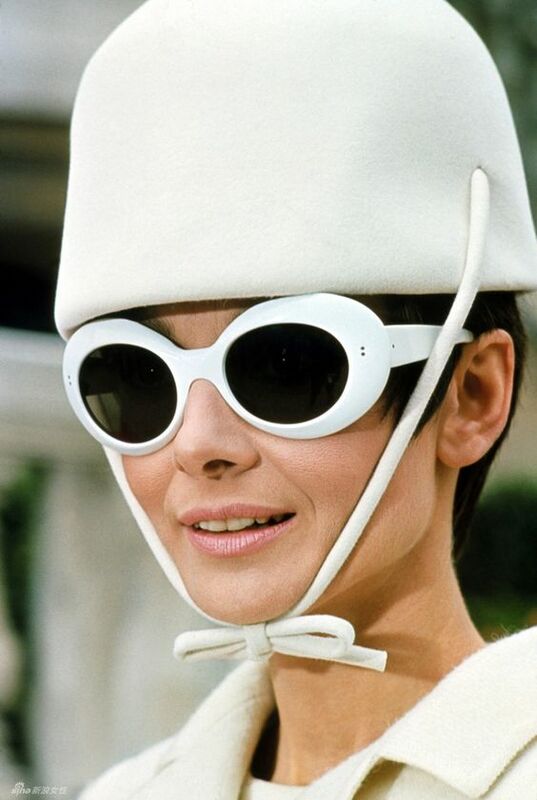 As a lover of retro style, I was just a little excited when round and oval sunnies (a la Audrey Hepburn) came back on the map. Unfortunately, I probably tried on dozens that looked ridiculous on me, before stumbling across a few winners at UO. All of their styles are not created equal and some do feel like $10 quality, but I’m very happy with my circle tortoiseshell sunglasses (see them on me) that even pair nicely with work or dressier outfits! I also got this white oval pair (pictured above) for fun – oval is a little harder to pull off in my opinion, so the sleek frames and slim arms definitely help. For years I’ve been going to so many ‘pick your own’.. cherries, strawberries, apples, pumpkins… never even thought of flowers as an option. What a great idea!! Hi Mel! Oh no…it’s crazy how fast some of their extended sizing goes : ( In my experience, items don’t often get “restocked” with new inventory per se, but there will be pop backs due to return. I do tend to see more returns with the most extended sizes since some shoppers might find the fit to be too small. Your outfit is the sweetest! I would love to visit this farm! I’ve never picked fruits or flowers before – I’ve never even heard of the first! It sounds so fun and lovely! This looks like such a darling little farm! Hopefully I can head up there soon and check it out for myself! There’s nothing like this in LA! Haha truly envious of this flower farm <3 🙂 It's so pretty! Wonderful pictures and your look with the summer dress is really cute! I love your snaps, Jean! I absolutely love visiting berry farms, but I’ve never been to a flower farm! What gorgeous fields! Oh Jean what lovely flowers and you look lovely too and I like the tall Rubber Wellingtons you are wearing they look adorable on your lovely legs. that little dress is so cute, love this look. GORGEOUS 😍😍😍 I always love your newly found hidden gems! I live 30 minutes away from Boston so I love all your travel recommendations. It’ll make for a cute date with a boo. Aw thanks, Mina! Yes, this was the most amazing day date … we got sushi and mochi ice cream in Cambridge afterwards which = perfect day for me. These pictures are so pretty! And your little dress is adorable! Love it! What a beautiful place, great find! Going to have to check out urban outfitter’s sunglasses – thanks for the tips! Looking beautiful as always. For Boston readers planning to go here, make sure you search for the one in Tyngsboro, not Chelmsford! The Chelmsford one is great too, we went two weekends ago and they had loads of blueberries ($3.25/lb which is a great bargain considering you can stuff yourself before filling your basket). Anyway we called before going and Ellen Parlee herself told her the two Parlee farms are not related. Wow, good point! Thanks for the heads up. I actually never came across the other one (Parlee’s Farm instead of Parlee Farms) in my searches before now, but I can see how that is very confusing! I was just there on Wednesday! Posted a photo & message to your twitter feed. I had to stop myself for wanting to cut down the whole field! A friend lives nearby so I surprised her for dinner after the farm. I need to find a farm that picks peonies & sweet peas in the spring! If you know of any please let us know! Love your style & grace. Hope to meet you one of these days. Been reading your blog for about 5 years now. 40 something here & 4 ft 11. LOVED your pictures, Christina! Thank you so much for sharing and for your support over the years. This sounds like the best kind of day! Dying to visit! It’s so pretty there! I’ve always wanted to go pick flowers at a flower farm. Your dress is super cute! Aw thank you, Joyce! I am going to do (aka attempt) an updated curling video! How awesome! I’d love to do an activity like this! The only flower farms around me that I know of are only to view, lol. Love anything blue and white these days, and your outfit is no exception. Plus those Hunter boots! Picking my own fruits sound like so much fun! Love how vibrant this post is! This place looks so beautiful. I really wish we had this kind of things where I live. Really love your outfit and the background is stunning. What a beautiful idea, Jean! This flower farm is such a great idea! I’ve only been apple and cherry picking, so it’s nice to see places where you can pick your own flowers. Love the outfit!! Thank you so much for visiting our farm and posting these beautiful pictures!